Interstate Container Cambridge representatives attended PACK EXPO 2011, international exhibition for packaging and processing machinery, components, materials, containers and converting machinery. Interstate Container Cambridge representatives, Jeff Cormier, Sales and Marketing Manager, and Frank Biskach, Technical Service Representative, attended PACK EXPO Las Vegas 2011 to allocate new and innovative packaging machinery for customers. The international exhibition took place at Las Vegas Convention Center, in Las Vegas, USA, from 26-28 September 2011. The corrugated packaging manufacturer looked at machines, such as baggers, stretch wrap machines, and robotics that would help customers reduce poultry plant labor. The show also provided representatives the opportunity to explore new ideas and services that Interstate Container Cambridge could offer customers, as well as meet with current and potential vendors. ADCO, manufacturer of packaging machinery/systems and vendor to Interstate Container Cambridge, occupied a booth at the event and offered the corrugated packaging manufacturer the opportunity to set up a small GREENCOAT® display. Furthermore, ADCO exhibited a new tray-former machine running GREENCOAT® boxes that Interstate Container Cambridge had supplied. 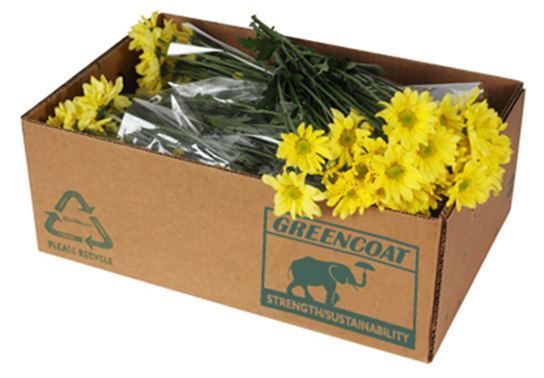 The corrugated display demonstrated GREENCOAT®’s strength and durability with the eco-friendly corrugated box holding 5 inches of water without leaking. 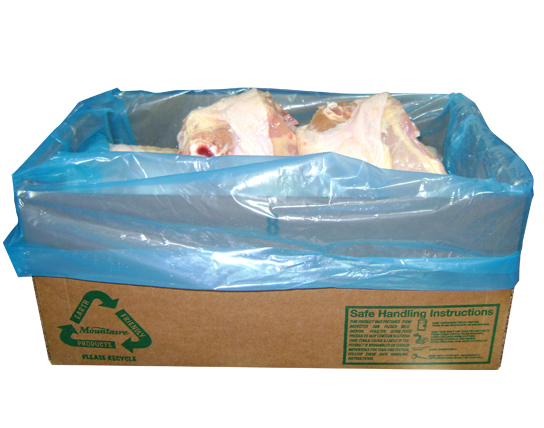 GREENCOAT® is an innovative recyclable, repulpable and compostable wax-replacement corrugated box for packing bulk poultry, meat, seafood, and fresh produce, as well as floral packaging. The small display was well-received in a setting unrelated to the usual target sectors. PACK EXPO Las Vegas 2011 provided Interstate Container Cambridge the opportunity to target new markets, attracting prospects from all over the world interested in GREENCOAT® for packing fertilizer, plants, paving stones, and produce. Visitors were looking for a corrugated box that could withstand exposure to certain elements at big box retailers like Home Depot and Lowe’s. “ADCO offered us the opportunity to put a small corrugated display in their booth as a thank you for buying their machine. Ed Fish, our designer, created the display and sent it out to Las Vegas along with our standard GREENCOAT® flyers. By noon on day 1 of the show (26 September 2011), we were called to the booth to replenish flyers and talk to several prospects that visited the stand. Interstate Container Cambridge is a member of Interstate Resources Container Division and a member of INDEVCO Group.